all other cats is still subject to misunderstanding, comment and speculation. protector create cats without tails? Or, more prosaically, is taillessness the result of their heredity? concerning why the cat has no tail. A quayside service is being held in the north of the Isle of Man to mark the sinking of the SS Ellan Vannin, more than a century ago. The Steam Packet ship sank in ferocious waters near Liverpool after leaving Ramsey on 3 December 1909, losing all 21 crew and 14 passengers. The service will take place at the spot where the ship set sail for England. Organiser James Douglas said the names of each of the people killed will be read out as part of the ceremony. He added: "For the people of the Isle of Man, The Ellan Vannin disaster was almost equal to that of the sinking of the Titanic – 35 people just vanished that night and we want to remember each and every one of them." 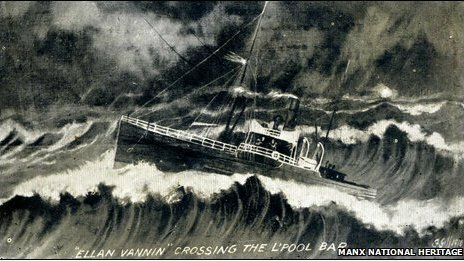 Charles Guard, from the Manx Heritage Foundation, told the BBC Isle of Man the SS Ellan Vannin went down in one of the worst storms of the century. "The waves were over 25ft and the winds were well in excess of 80mph – they were impossible conditions and a confluence of the most extraordinary circumstances that very few boats of the time would have survived. 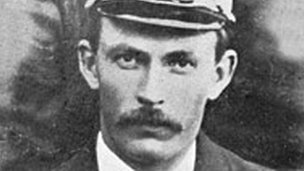 "The crew were top class and the much respected Captain James Teare managed to get her across the Irish Sea in terrible conditions. But what happened in the quarter of an hour between 0630 GMT and 0645 GMT, was to result in the worst shipping disaster the Isle of Man had ever had to deal with." The Ellan Vannin memorial, which is open to everyone, will be held at 1830 GMT on 3 December and will be followed by a 45-minute church service at Our Lady Star of the Sea church in Ramsey. Wreaths will be laid at the quayside, one for the crew members and another for the passengers. The service will include a bag-pipe recital of the song, composed about the shipping tragedy entitled Ellan Vannin. A MEMORIAL to the 35 passengers and crew who lost their lives when the SS Ellan Vannin sank more than a century ago will be held by the ManxAid charity at the quay side in Ramsey on December 3. A 15-minute interdenominational service will start at 6.30pm, timed in tribute of Steam Packet vessel, which – after setting off from her home port of Ramsey – succumbed to stormy conditions near Liverpool and sank at 6.30am, December 3, 1909, claiming the lives of all on board. ‘We want to try and do this every year because it is part of the history of the Isle of Man,’ explained ManxAid’s Jim Douglas. At the quay side service, the opening prayer will be read by Reverend John Guilford of St Paul’s Church, before Ramsey Town Band play Abide With Me. Wreaths will be laid on behalf of the people of the Isle of Man by Chief Minister Allan Bell, on behalf of the passengers by Geoff Corkish MHK, and on behalf of the crew by a representative from the Steam Packet Company. The Last Post will be played before a one minute silence, and a closing prayer by Reverend Philip Smith from the United Reformed Church. It will be followed by a further 45-minute service in Our Lady Star of the Sea and St Maughold Church in Ramsey. There, Speaker of the House of Keys Steve Rodan will play Amazing Grace on the bagpipes, before the opening prayer and introduction from Father Brian O Mahony. David Cretney MHK will a read a list of the names, and some details of the lives, of the passengers who lost their lives, and the Steam Packet representative will read a list of the Ellan Vannin’s crew members. Immediately after the service, a special presentation will be made at the Ramsey Park Hotel, to Harry Edmonson, the Liverpool man who is the former custodian of the Ellan Vannin Memorial. On 10th November 2012, Manx National Heritage will open a major exhibition on ‘The Forgotten Kingdom? 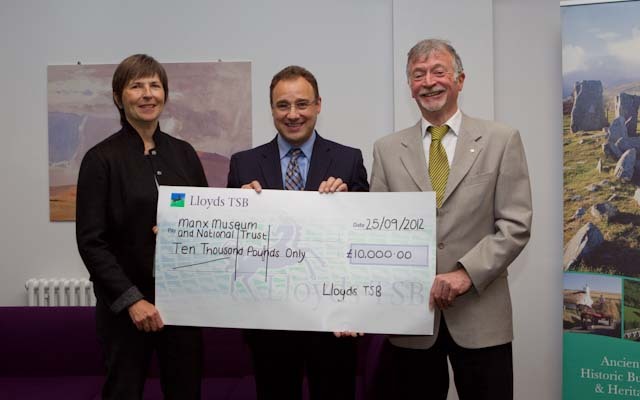 The Kingdom of Man and the Isles (1000 – 1300 AD)’, kindly supported by Lloyds TSB. This special exhibition marks the temporary return to the Isle of Man of the Chronicles of the Kings of Man and the Isles which will be displayed alongside six of the magnificent Lewis Chessmen. It will be the first time the Lewis Chessmen have been displayed on the Isle of Man. A thousand years ago, a powerful sea kingdom was formed encompassing the Outer Hebrides, Skye, the Inner Hebrides, Argyll and the Irish Sea. The seat of power was the Isle of Man. From this small island, the Kings of Man and the Isles ruled both the lands and the vital sea route that ran through the heart of what we now know as the British Isles. This trade route brought riches to and from the kingdom. The Chronicles of the Kings of Man and the Isles is the Isle of Man’s first story-book. The manuscript tells tales of battles fought, indulgent kings and queens; of haunted chieftains, political skulduggery and brutal revenge. Exquisitely carved rare chess pieces, silver coins with images of kings and precious symbols of wealth and religious power were left behind after the Kingdom ended and some of these will be on display in this special exhibition. "This will be a major exhibition for Manx National Heritage, made possible through close collaboration between Manx National Heritage, the British Museum, the British Library and National Museums Scotland who have worked closely to secure extremely generous loans of precious objects from their collections, some that have not previously been seen on the Isle of Man. We have received an overwhelming amount of support for the exhibition and I am particularly delighted to welcome Lloyds TSB as supporters of this important exhibition at the Manx Museum". "It is a privilege to be partnering with Manx National Heritage for this incredibly exciting exhibition, which offers a fascinating insight into medieval life on the Isle of Man. We recognize the importance of supporting the Isle of Man’s cultural heritage and we are delighted to offer our support to help bring this unique experience to the Island." The exhibition opens at the Manx Museum on Saturday 10th November 2012 until 9th March 2013 and will be accompanied by a programme of events. Find out more in Manx National Heritage’s Winter What’s On publication or visit www.manxnationalheritage.im. This October will be the third year that organisations on the Isle of Man bring you Heritage Open Days over two weekends, providing access to properties, lands and displays usually closed to the public or normally charge admission. Funded by the Trustees of the Manx Museum and National Trust, Manx National Heritage co-ordinate the event with the support of other Island organisations offering tours or access that is ‘beyond the usual’ for the public to enjoy for free, opening people’s eyes to the properties and places they may have not seen or heard about before. Events are taking place Island-wide from 5th– 7th and 12th– 14th October and participating organisations include the Isle of Man Victorian Society, Jurby Transport Museum, Isle of Man Railways, Manx Transport Heritage Museum, the Isle of Man Constabulary, the Department of Health, the Department of Education and Children, the Manx Heritage Foundation, the Leece Museum, A.R.E Motorcycle Collection, Milntown Gardens, the Manx Military and Aviation Museum and Manx National Heritage. Local historians Frank Cowin, Peter Kelly and Charles Guard will be conducting some of the guided tours. Highlights of the programme include Castletown Police Station, designed by Baillie Scott and tours of Jane Crookall House, the former Maternity Home which will evoke memories for a large proportion of the population! The former Drill Hall of the Isle of Man Volunteers in Douglas will host a tour of its interesting history. There will be an opportunity to learn about Victorian Douglas, the quayside in Peel and see photographs of times gone by. The Manx Museum will be open on Sunday 7th October with tours designed especially for kids. Plus with the chance to get a behind the scenes peek at objects and conservation projects, this year’s programme is set to be the best yet. There will be something for everyone and we can’t wait to help you explore! For the full programme of events pick up a leaflet or visit the website www.manxnationalheritage.im. THE audience arriving for Ramsey National Week’s Manx Fairy Tales concert felt as though they were stepping back in time and entering an old fisherman’s cottage, complete with a fire blazing in the choillagh and ‘pot dogs’ on the mantlepiece. This was thanks to a stunning backcloth painted by Deborah Taubman. Annie Kissack introduced each item, explaining how it linked-in to Sophia Morrison’s folk story collection, published just over 100 years ago, featuring such familiar characters as the Buggane of St Trinian’s and the Moddey Doo of Peel Castle. Annie and Clare Kilgallon opened the programme with their haunting duet, Arrane y Lhondoo (Blackbird’s Song). The programme continued with lively dancing of Hunt the Wren by Auldyn Infants and an instrumental medley by Scoill Ree Gorree’s Share na Veg, showing that the tradition is well and truly alive. Cliogaree Twoaie choir took up the story, singing Manannan’s Song, based on legends of the Sea-God, Manannan Mac-y-Leir. After a break for a Manx ‘tay’ provided by members of Ramsey Heritage Trust, the second half opened with Fantasias on Manx Folk Tunes for clarinet and piano by the talented Tim Price, who will shortly graduate from Bangor University with a first class degree in composition. Tim was accompanied on piano by Frank Woolley. Although a departure from the familiar, the music was greeted by warm and enthusiastic applause. Continuing the folk tale theme, the choir sang Snieu Qheeyl Snieu, from ‘The Lazy Wife’ and Ushag Veg Ruy (Ballad of the Little Red Bird). Choir member Marlene Hendy stepped out of the ranks to give a plaintive solo in Manx, Padjer Columb Killey (St Columba’s Prayer), which was a fitting way to end the evening. On behalf of the Trust, Sue Woolley thanked all the performers for providing such an entertaining evening. She also gives personal thanks to the hard-working kitchen team, Ramsey Bakery for its contribution, and to daughter Chloe for her help in compiling the programme. And extra special thanks to Deborah for her art work, which really created the atmosphere! The school’s Manx Dance team, drawn from Years 1 and 2 (ages five to seven), opened the event with the Couples Dance and another rendition of Hunt the Wren. Upstairs the room was adorned with Manx bunting and red, white and blue table decorations, and there was face painting, tattoos, a quiz, and possibly one of the biggest cake stalls Ramsey has ever seen. Organisers extended their thanks to everyone who supported the event, helping raise £503.88 for the Parents Teachers Association. But director of harbours Captain Mike Brew said that with the squeeze on public finances, there was little likelihood of Tynwald approval being sought for such a phased scheme for at least another five years. He said, however, that following the spending of just under £1.8 million on a project to stabilise the Victorian landmark, the ‘debate about demolition had been and gone’. In the House of Keys, Infrastructure Minister David Cretney said that following the completion of the stabilisation and protection scheme last year, the main structure of the pier was now in good structural condition and posed a significantly smaller risk to the public and vessels. He said the advice from engineers was that the pier’s condition could be expected to remain good and safe for at least five years. Mr Cretney said the department would carry out inspections every six months or after any severe weather. He said the department expected to receive a report by mid-May outlining a scheme to refurbish the whole pier on a phased basis and would consider whether to bring forward proposals at an appropriate time which, given the current financial climate, was ‘unlikely to be in the short term’. Captain Brew said the report by BWB Consulting had been commissioned at a cost of £11,300 – paid out of the same £1.8m approved by Tynwald for the stabilisation scheme. He said the seven planned phases, starting from the landward end, would cost between £1.2m and £1.7m each and would allow each section to be opened to the public when completed. Mr Brew said the scheme would involve replacing everything above the pier’s legs, including the timber decking and the wrought iron lattice work beneath. The stored original balustrades would be replaced. He said the work was ‘relatively low tech’ – compared with the specialised stabilisation scheme – and much could be done by island-based workers. There had been two amendment motions in Tynwald proposing demolition, he said, and neither had been approved. The likelihood of demolition being considered as an option was now much diminished. ‘The debate about demolition has been and gone, frankly,’ he said. Manx National Heritage is planning a major exhibition to mark the 100th anniversary of the outbreak of the First World War in 2014, and curators would like to hear from anyone who has material which they feel they can contribute. This special exhibition is scheduled to open in January 2014 at the Manx Museum and will be on display for the duration of the anniversary year. “This exhibition will look at the whole range of Manx experiences in the First World War, from soldiers on the battlefields, to sailors at sea, women in factories, conscientious objectors, politicians, fishermen and others on the Home Front. If you have family letters, diaries, photographs or artefacts relating to a Manx person who lived through the First World War, we would be delighted to hear from you. We are particularly keen to find material relating to the less well documented aspects of the war, such as its impact on women”. The First World War was the world’s first truly global conflict, and it affected the lives of those at every level of society on the Isle of Man, from Government House down to those in the humblest croft, as sons were sent to the trenches, daughters went to work in munitions factories or volunteered as nurses, fathers helped guard the Island from attack and mothers raised money for Belgian refugees and knitted socks for those at the Front. In many ways it created the modern world in which we live today, introducing for the first time state control of industry, daylight saving time, and the gradual decline of a sense of deference on the part of the working classes towards those in authority. The First World War changed the face of warfare forever. It started with the horse as the prime mover on the battlefield, and with cavalry making heroic charges in the battles of 1914, but the machine gun soon came to dominate the battlefield, and it quickly saw the horse superseded by the tank and the aeroplane. At sea, the first ever attack made on an enemy ship by a plane carrying a torpedo was launched in 1915 from the Isle of Man’s own Ben my Chree. It would render most of the world’s navies (including the mighty Dreadnought battleships) obsolete overnight, as the age of the aircraft carrier was born. Under the waves, a new deadly threat emerged – the submarine. 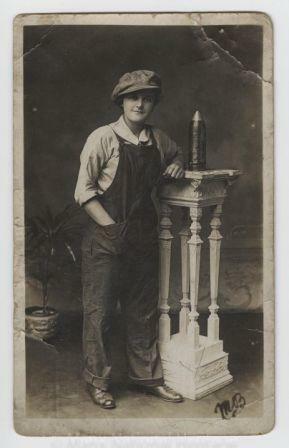 Whilst the Isle of Man housed thousands of enemy aliens in internment camps, many of its sons were fighting on battlefronts across the world, and its women were engaged in a range of war-related work. On the political front, the war brought to a head a constitutional crisis in the Isle of Man which had been brewing for a number of years. "Major exhibitions always take a lot of planning, and an exhibition on this scale is certainly no exception to that rule. That is why we would like to hear now from anyone who has letters, photographs or artefacts which they feel may be relevant to this subject. Even if you feel able to loan material to us for just a short time, this would still be useful to us and would enable us to photograph, record or copy these items". With a growing number of people communicating on social media sites through Manx Gaelic, the language has received a great boost with the creation of a basic Facebook template in the language. With assistance from Kevin Scannell, a computer science professor at St. Louis University in America, it is now possible to ‘like’ ‘follow’, find friends’ and much more through the medium of Manx Gaelic on Facebook. The script can be accessed at: http://userscripts.org/scripts/show/127270 and works best with a Chrome Browser. Although the Facebook template is not exclusively in Manx enough of the interface is available in the language to ensure a strong Gaelic presence on the site. It’s hoped other sites such as twitter can also in the future be adapted to use some Manx Gaelic and that the on-line and global audience for Manx will continue to grow. A replica Viking longship from the Isle of Man has been selected to take part in the Queen’s Diamond Jubilee Pageant on the River Thames. The ship will join up to 1,000 other vessels in a Flotilla stretching about 12.5 miles (20km) on 3 June. 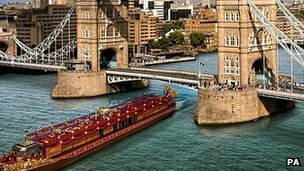 At the centre of the maritime event will be the royal barge, decorated in red and gold, carrying the Queen and the Duke of Edinburgh. The boats will journey down river from Putney to Tower Bridge. The £12m cost of the pageant – which includes a £2m VAT bill – will be funded by private sponsorship and donations, according to Lord Salisbury who is leading the organisation of the event.